The coalition supporting Proposition D, the Missouri state fuel tax increase and other transportation funding proposals, has formed a committee and now has a web site at SaferMO.com. 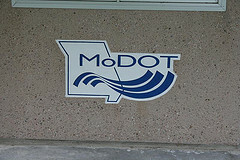 MoDOT funding has not been increased since the 1990s. The state gas tax is not adjusted for inflation and is among the lowest in the U.S. The committee advocating for the passage of the fuel tax increase on the November ballot introduced a veteran campaign team to lead the way. SaferMO.com is a campaign committee dedicated to the passage of Proposition D — which was sent to the voters by the General Assembly through HB 1460. The measure is asking Missourians to approve a 10 cent fuel tax increase, the creation of an “Emergency State Freight Bottleneck Fund,” and exempting Olympic winnings from state income taxes. Dan Kleinsorge will serve as campaign manager, Scott Charton will serve as communications director, Trent Watson will serve as local governments coordinator, Jason Zamkus will serve as steering committee director, and Chuck Hatfield will serve as campaign legal counsel. Missouri's fuel tax is not automatically increased to account for inflation and has not been increased since the 1990s. The increase proposed by Prop D will put the fuel tax at very close to the same level (adjusted for inflation) that the tax was in the 1990s. It is a measured and proportionate increase in overall transportation funding. It is not a huge increase in highway funding as some previous proposals were, but simply a return to 1990s levels of funding (in inflation-adjusted dollars). What this means is it won't fund a huge surge of highway building and expansion--rather, it is consistent with the "maintain the system" approach MoDOT has been moving towards over the past decade. About 20% of fuel tax funds go to Missouri cities and counties, where the money can be spent on any transportation priorities the city or county identify, including bicycling, walking, and so on. Funding Missouri transportation at a reasonable level will get MoDOT out of the "crisis mode" they have been operating in for the past several years as the MoDOT budget has been squeezed. For bicycle and pedestrian advocates, the downside of this has been too many "no" answers from MoDOT for even simple, inexpensive fixes like striping or simple bike/ped elements added to existing projects. Whether or not you support Prop D, you'll want to carefully think about the costs and benefits of the proposed 10-cent fuel tax increase phased in gradually over several years, or no transportation funding increase, which will impact the condition of our transportation system over the long term. 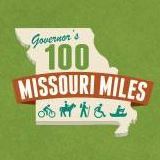 Missouri House & Senate put 10-cent fuel tax increase on the ballot - How will this affect people who walk, bicycle, use public transit?